Read our introduction to the voting guide here. Download this guide in PDF format. Our reason: In general, we’re against the Americanisation of politics and would argue for Labour Party members only to have a vote. But clearly, this is an anti-Corbyn attempt by the right to reverse the changes made in the aftermath of the ‘Collins review’ – which was of course designed to curb the powers of the unions. Our reason: Clause IV deserves to be torn up and replaced – but neither this lame alternative nor a return to the Fabian 1918 version are sufficient. We need a commitment to socialism, the rule of the working class, a democratically planned economy and a democratic republic. Labour Party Marxists have drawn up an alternative formulation along those lines. Our reason: This is a blatant attempt by the right to continue to use the fabricated ‘Anti-Semitism’ scandal to attack and silence the left. It wants to remove the need for evidence to punish trouble makers: the phrase “something where the victim or anyone else think it was motivated by hostility” is very much open to all sorts of abuse. Guilty until proven innocent. Add a new paragraph D, and restyle current paragraph D as paragraph E: A member of the Party engaging in conduct which is motivated by hostility or prejudice based on gender; sexual identity; ethnicity or faith; age or disability; or other personal characteristic, shall automatically be ineligible to be or remain a Party member, subject to the provisions of Chapter 6, Clause 1 below of the disciplinary rules. 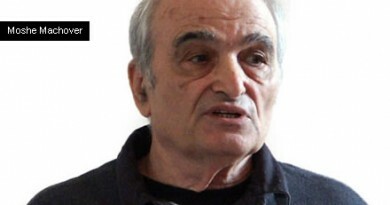 Amend Section 8 as follows: insert after first sentence: No member of the Party shall engage in conduct which in the opinion of the NEC is racist, anti-Semitic, Islamophobic, or otherwise expressing hostility or prejudice based on gender; sexual identity; ethnicity or faith; age or disability; or other personal characteristic. Add at end of last sentence: except in cases of conduct which in the opinion of the NEC is racist, anti-Semitic, Islamophobic or otherwise expressing hostility or prejudice based on gender; sexual identity; ethnicity or faith; age or disability; or other personal characteristic. Where a panel has found a charge of conduct that is racist or expressing prejudice under Chapter 2, 4, D, expulsion is required by the terms of the rule unless the panel is satisfied that an unqualified undertaking in the form required by the NEC has been given, in which case a disciplinary measure short of expulsion may be imposed. Our reason: It is true that the rules make no reference to the kind of sexist and racist behaviour mentioned in the amendment. But this gives way too much power to the bureaucrats, including the issuing of lifelong membership bans. It is – again – very much open to abuse, especially the formulation “which is motivated by hostility”. Why should members of political groups be banned? Surely, if the party is to become a real party of the class (ie, a united front), we need to welcome all those from different political backgrounds. Our reason: This would appear to be a well-meaning attempt to oppose the entirely fabricated Anti-Semitism scandal in the party and to base any accusations on factual evidence. However, the motion starts from the premise that the party indeed has an “anti-Semitic problem”, which is palpably untrue. Bury South, Chipping Barnet, Hertsmere, Jewish Labour Movement, Manchester Withington, Streatham, Warrington South, referencing: Chapter 2, Clause I, Section 8 Conditions of membership Page 9. 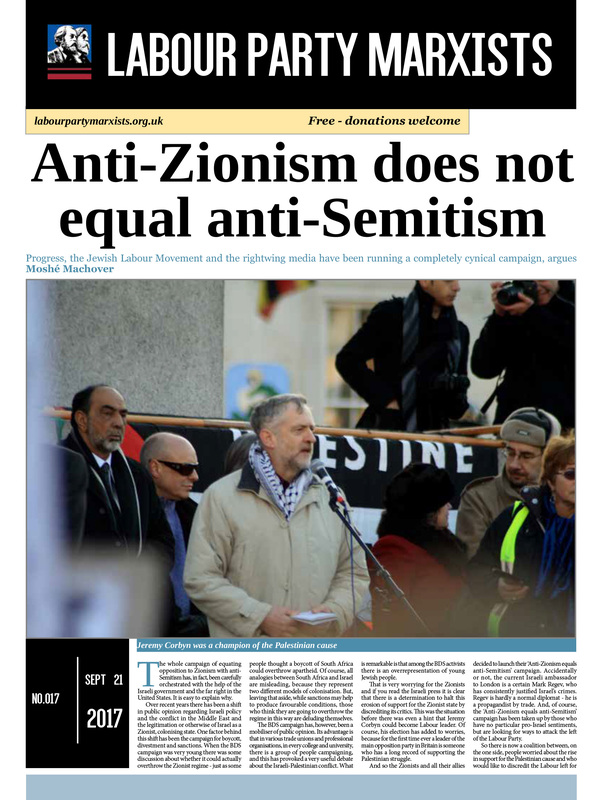 Our reason: This is supported by the Jewish Labour Movement, an affiliate to the World Zionist Movement, which has played a shameful role in the witch-hunt of anybody in the Labour movement who is speaking out against the role of Israel in oppressing the Palestinians. This already tells you that you should probably oppose without even having to read it (though of course we would urge you to do so). Like motion 3, it puts ‘feeling insulted’ first and removes the need to rely on rational evidence. But it also puts Anti-Semitism (and ‘cleverly’, Islamophobia and racism) above the right to express opinions. Coupled with the proposal to remove any need for evidence, this is a truly anti-democratic motion. 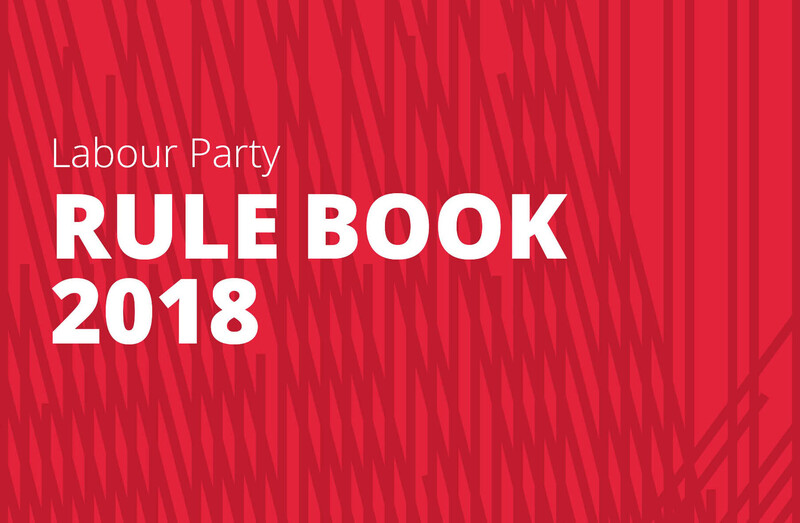 Replace existing Section 6 with: An NEC approved statement shall be produced setting out the basis on which membership fees shall be allocated, including from January 2017 a minimum cash allocation of 10% of each paid up member’s subscription and a guaranteed minimum package of support for all CLPs. 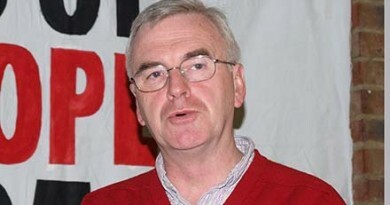 Our reason: Currently, CLPs are allocated a ‘minimum’ of a measly £1.50 per member – per year! Clearly, an organisation that encourages local organisation and autonomy should allocate much more. Add at new sentence at the end of Section 4F as follows: Any exceptions to this rule can only be made with the approval of the NEC or an officer exercising the powers given to them by the NEC. We believe that this entire section should be scrapped. Full members should be given full membership rights from day 1. This amendment further complicates an already bad situation – and allows ‘special’ members to enjoy special rules. Our reason: This would allow CLPs and affiliated organisations to submit one rule change motion and one contemporary motion (at the moment, it’s either one or the other). Amend the first sentence as follows: delete “contemporary” and delete “which is not substantially addressed by reports of the NEC or NPF or Conference.” and replace the latter with “on a matter of policy, campaigning or Party organisation and finance”. Amend the last sentence: delete “contemporary”. Our reason: Currently, the Conference Arrangements Committee and the NEC rule out tons of contemporary motions, because they deal with a subject that is mentioned in the long documents produced by the National Policy Forum. We are strongly against this outsourcing of policy-making to an untransparent and unwieldy forum like the NPF. Conference must become the supreme body of the party. The NPF is nothing but a pseudo-democratic device, invented by Tony Blair, of course, and should be abolished. Add a new sub-clause 2I at end: All constitutional amendments submitted by affiliated organisations and CLPs that are accepted as in order shall be timetabled for debate at the first party conference following their submission. Our reason: Definitely. It’s an outrage that rule change motions are only debated at conference in the year after they were voted through at CLP level; NEC motions however, can immediately be discussed at conference. The annual women’s conference may submit to conference up to two motions not substantially addressed by reports to the NEC or NPF or contemporary motions already put forward as a result of the ballot process. Our reason: At the moment, women’s conference is used mainly as a platform for the likes of Harriet Harman. It has no rights. Of course, a conference of women members should have the right to submit motions to main conference (just like Young Labour should). We urge delegates to vote in favour, though we actually think it should be zero per cent. Surely, ‘normal’ Labour Party members should have the right to decide who should be their leader. MPs and MEPs should not have the right to act as some kind of system of ‘checks and balances’ on the democratic will of the membership. Where there is no vacancy, nominations may be sought by potential challengers each year prior to the annual session of Party conference. In this case any nomination must be supported by 20 per cent of the combined Commons members of the PLP and members of the EPLP. Nominations not attaining this threshold shall be null and void. In the event that a potential challenger attains the threshold and that an election will take place, the incumbent (Leader or Deputy Leader) will be automatically included on the ballot paper if they inform the General Secretary in writing they wish to be a candidate in the election. Our reason: In general, single transferable vote can indeed be more democratic, as they allow minorities to get elected. However, in this politically fluid situation, the current first-past-the-post system allows the left to campaign to get a whole slate of candidates elected, whereas under STV the left would be more likely to take only a majority. Also, who decides what the “constraints” in terms of gender balance are, for example? Our reason: See motion 1 and 18: In general, we’re against the Americanisation of politics and would argue for Labour Party members only to have a vote. But clearly, this is an anti-Corbyn attempt by the right to reverse the changes made in the aftermath of the ‘Collins review’ – which was of course designed to curb the powers of the unions. See also motions 1 and 18. Replace existing sub-clause with: Only paid up members of the Labour Party are entitled to vote in elections for the Leader and Deputy Leader of the party. A. trade unions or branches thereof affiliated to the Trades Union Congress or considered by the NEC to be bona fide trade unions affiliated to the Party nationally. Where provided by the structure of an affiliated organisation, subsections of branches retired member sections/associations may affiliate separately at the discretion of the RD(GS) of the Party in agreement with the appropriate authority of the affiliated trade union Consequential rule change to support the rule amendment – payment of affiliation fees. But the left should try to make these organisations real – just because somebody retires from work does not mean they are not interested in the affairs of their union anymore. Add at the end after Sub-clause 3, a new Sub-clause 4 as follows: Young Labour shall have its own constitution and standing orders, to be determined by the Young Labour AGM. Our reason: We agree with much of the motivation by the movers: “The rule would clarify how Young Labour works, increase its autonomy and stop the organisation being beholden to Labour Party staff’s interpretation of the rulebook. The membership of the LGC shall consist 75% of delegates from the local CLP(s) and 25% from affiliates. At least 50% of delegates from each group shall be women. 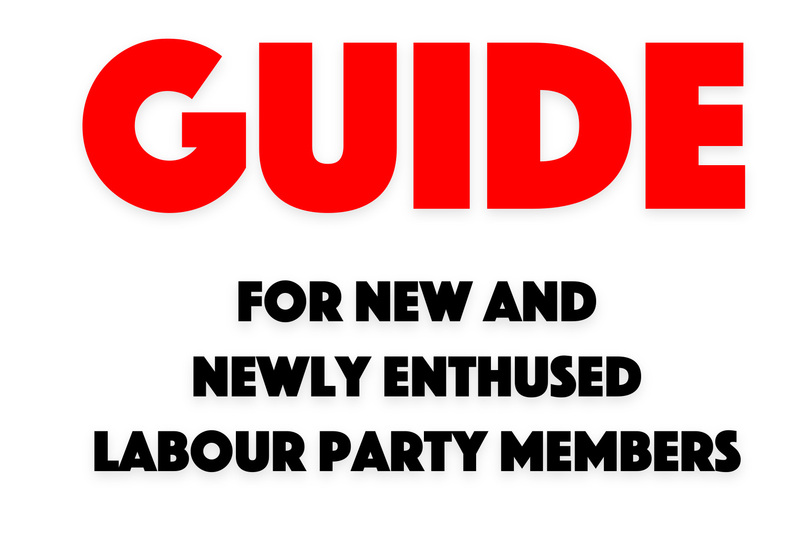 Additionally, CLP campaign co-ordinators shall be ex officio members of the LGC. Any sitting MP, AM, MSP, MEP, PCC and/or PPC may attend their LGC. 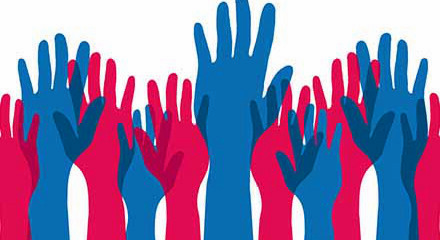 Where a Co-operative Party council exists for the area concerned and they sponsor candidates in local elections they shall be entitled to appoint a member to the LGC. The LGC shall meet at least four times per year with representatives of the Labour group where one exists. Consequential amendments – elsewhere replace LCF by LGC. Our reason: The Local Campaign Forum itself was an anti-democratic effort to abolish the much more democratic Local Government Committees (and District Labour Parties), which used to write the local Labour Party’s manifesto and exercised some democratic control over Labour Party councillors (who these days write their own manifesto). Currently, LCF’s are chiefly run by Labour Party councillors, with the local CLP executives making up the rest. There is almost no input from normal members, let alone much transparency. 1. Members of the Labour group are entitled and encouraged to attend meetings of their constituency party and appropriate local party units. The group standing orders shall specify how the group and council leadership including the City Mayor and Deputy City mayor shall report to and consult with the appropriate local party on a regular basis; the leader and deputy leader of the Labour Group, or other Group officer as determined by the Group shall be members of the LCF and its Executive Committee. The party expects the group leadership including the City Mayor and Deputy City mayor to give a minimum of reports and hold a number of policy consultations within the year, to keep the party informed of budgetary and service delivery issues, and other policy areas. 1. Labour groups on joint boards, committees, on regional bodies and on local government associations shall adopt appropriate rules and standing orders in consultation with the party’s Local Government Unit and with the prior approval of the NEC. The rules contained in Chapter 13 are minimum requirements for the operation of Labour groups and the conduct of Labour councillors including the City Mayor and Deputy City Mayor. Due account must be taken of the resources for member development and the guidance approved by the NEC and of such advice as may be issued from time to time by the NEC. Our reason: The only change here is the addition of “City Mayor and Deputy City Mayor” to the list of those required to “consult” with members. Of course, these should not be able to act as little Bonapartes, but be subject to democratic control by the party. This so-called “consultation” is however incredibly vague and in reality just means a councillor or MP has to give a monthly report to members, who can question them but have no way to hold their representatives to account or sanction them. This whole rule should be torn up and dramatically rewritten to make sure councillors, MPs and all other elected Labour Party representatives come under the democratic control of party members. Our reason: An annual allocation of £2.50 per member to the CLP is still a joke. Even 10%, as in motion 7, is too little. But even a little more is better than the current status quo of £1.50 per member per year.